The seventy ninth mantra of the Thirumandiram describes the glory of Shivas sacred wisdom. சேர்ந்திருந் தேன்சிவன் நாமங்கள் ஓதியே. 7.5.79. The lyric spell of His countless names. 7.5.79. 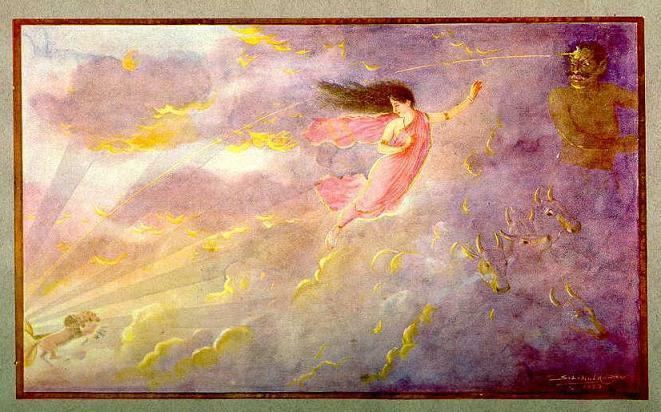 Com – Fixed in devotion fast I clung to Her Lord-elect I remained fixed in the worship of the Lord in the form of Ardhanarishwara (half male and half female – the united state of Siva and Shakti). Rooted firm to Siva who in Avaduthurai smiled I remained fixed in the Sahasrara lotus which is present at the (top) end of the spinal chord through which Siva guides the Self into spiritual maturity. In devotion fast sought repose under Siva Bodhi's shade I remained (merged) in the shade of the consciousness/ wisdom of Siva. In devotion fast I chanted The lyric spell of His countless names And during then, I remained, lost in the meditation of Siva’s many names. * The term Siva Bodhi refers to the wisdom of Siva. Being under the shade of Siva Bodhi refers to the state of being absorbed in the overwhelming wisdom of Siva – a state similar to being in a trance, all but a holy trance. The author reveals that he remained in a trance like state, merged in Siva consciousness, brought about through meditating on and chanting the many names of Siva. The word Bodhi is a compound and refers to a tree. The legendary tree under which (in Gaya) the Buddha attained to enlightenment. Here the word shiva bodhi refers to the shade of the shiva tree. 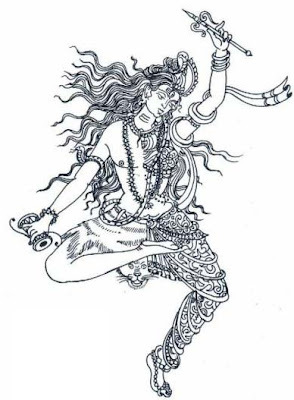 The concept of ArdhanArishwara (half shiva half shakti) is a very unique vision that is central to the tantra thought of the co equal nature of the shiva and shakti. There is no difference between shakti (power) and shiva (the wielder of the power). Devotion to Shakti - Mantra 78. Mystic truths - Mantra 76.